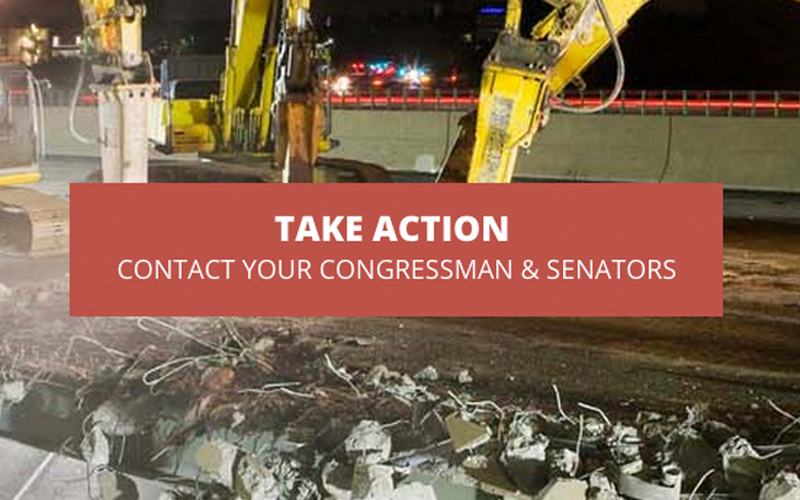 With the House now in recess until after Labor Day, ARTBA members and their supporters should contact their representatives while they are at home and encourage them to produce a multi-year highway and public transportation bill in September. The Senate approved the “Developing a Reliable and Innovative Vision for the Economy (DRIVE) Act” by a bipartisan margin of 65 to 34 on July 30. An hour later, the upper chamber approved the House’s three-month extension of the highway and transit programs—to Oct. 29—to avoid funding from crashing to a halt on July 31, the deadline pushed forward from an earlier extension that expired May 31. The passage of a six-year plan is a significant milestone. Congress hasn’t passed a transportation package of longer than two years over the past decade. But the House has to act before the bill can go to a conference committee and ultimately on to the president. The House does not have to like the Senate bill or take up the Senate bill, but it does have to act. House Transportation & Infrastructure Committee Chairman Bill Shuster has said his committee plans to produce a multi-year bill in September. We need you to support that process going forward. More importantly, we are asking you to back efforts in the Ways & Means Committee to generate new trust fund resource to not only fill the $15 billion per gap between current spending levels and incoming trust fund revenues, but to ensure any multi-year bill grows surface transportation investment beyond simple inflationary adjustments. You were elected to address important national issues. Do your part to end the eight-year cycle of short-term bills and temporary trust fund bailouts. Please share with us the results of your meetings with your congressman by contact ARTBA’s Vice President of Congressional Relations Dean Franks.